It’s May (already!) and we are rounding out the academic year with another addition to the Network’s series of unpublished papers on issues of historical dialogue, historical and transitional justice, and public and social memory. This month, we’re so pleased to feature Dr. Mark Wolfgram’s “The Process of Collective Memory Formation: Bridging the Divide Between Ancient and Modern Societies.” We encourage you to check out the paper and post informal comments, thoughts, reflections, and connections. We’d love to hear your reactions to the paper! Before we go, just another reminder: The Historical Dialogues, Justice and Memory Network is still taking final submissions to feature in the Working Paper (WP) Series for 2014-2015. The working paper series is an excellent opportunity to receive interdisciplinary feedback on your ideas and writing. We encourage you to send questions and Working Paper submissions to co-editors Michelle Bellino and Cathlin Goulding at dialogues@columbia.edu. Scholars should study collective memory formation as a social process in which individuals encounter bits and pieces of the past as represented in different social artifacts. These artifacts may be a social practice, such as the telling and retelling of epic poetry, or a physical artifact such as a drawing, painting, photograph or film. The individual interprets these artifacts in dialogue with others in a social setting. Collective memory scholarship tends to focus on single case studies, occasionally with a bit of implicit or explicit comparison. But even when comparisons do exist, they tend not to bridge the divide between ancient and modern societies, as distinguished by levels of technological development. By looking at different categories of data, common in collective memory work, the article identifies commonalities that stretch across ancient and modern societies, thus helping scholars to identify universal aspects of collective memory formation. 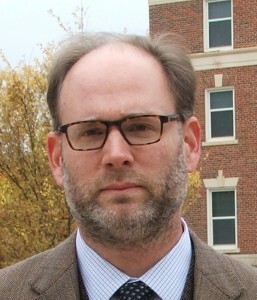 D r. Mark A. Wolfgram is an Associate Professor of Political Science (Ph.D. University of Wisconsin-Madison 2001). He has received research and writing fellowships from Carleton University, the Charlotte W. Newcombe Foundation, the Joan Shorenstein Center at Harvard University, the German Academic Exchange Service (DAAD) and the Friedrich-Ebert Foundation. His first book, “Getting History Right”: East and West German Collective Memories of the Holocaust and War, was published by Bucknell University Press in 2011. His current research project is a comparison of collective memory formation in Germany, Japan, Spain, Yugoslavia and Turkey in the 20th century.